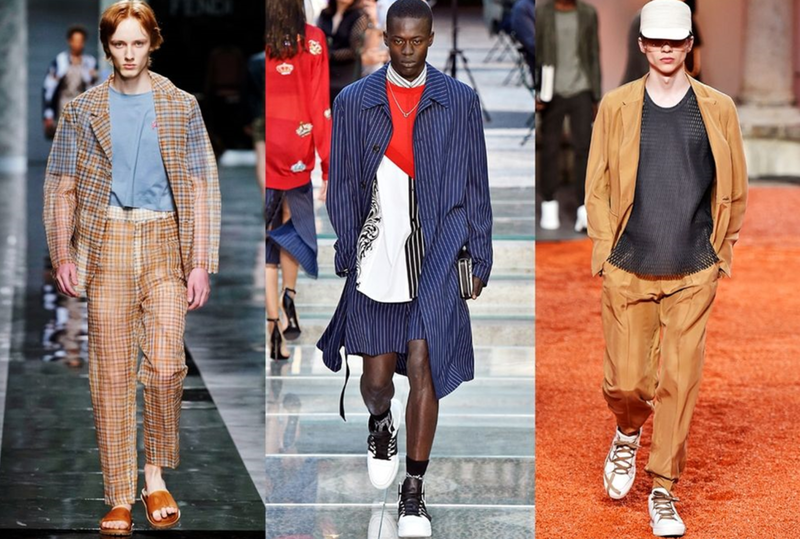 With the latest chapter of Milan Men's Fashion Week behind us now, it's time to reflect on styles and trends witnessed on the various runways during the spring/summer 2018 fashion events. For many seasons now, oversize and loose structures have become the norm on the runways. While structured and slim-fit hasn't vanished completely, Milan fashion shows made it evident that a drapier outline is here to stay. We saw ankles all over the place in the fashion events in Milan. 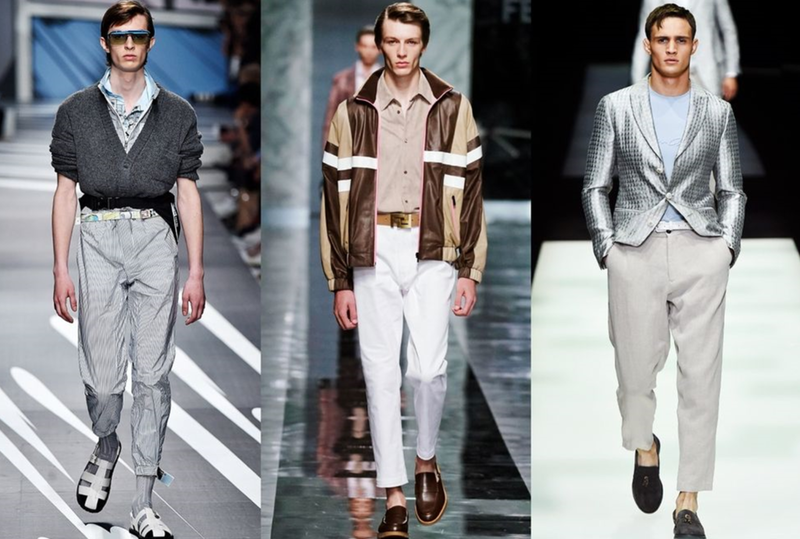 Although cuts are getting looser even now, the hems remain high as various designers displayed cropped slacks with small belts in their menswear collection. 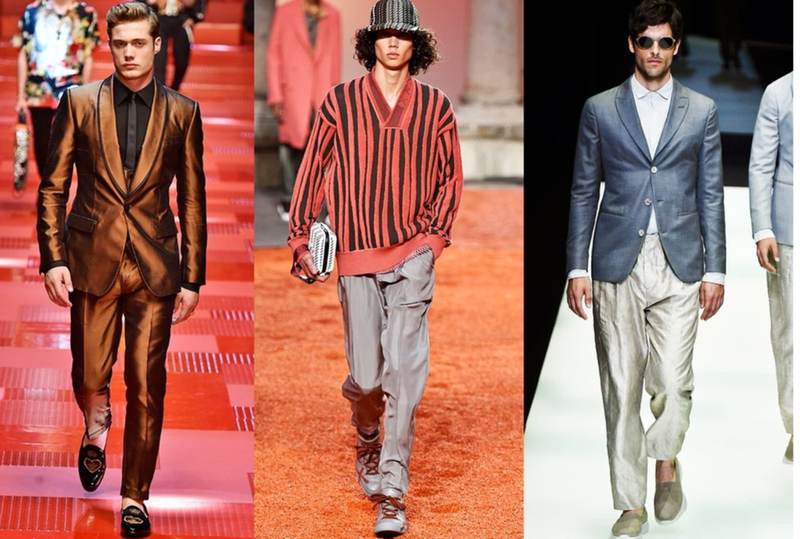 From satin jackets and trousers at Giorgio Armani to Etro’s printed silk suits to overall satin formal wear at Dolce & Gabbana, shine and sheen were all over the runways in Milan. 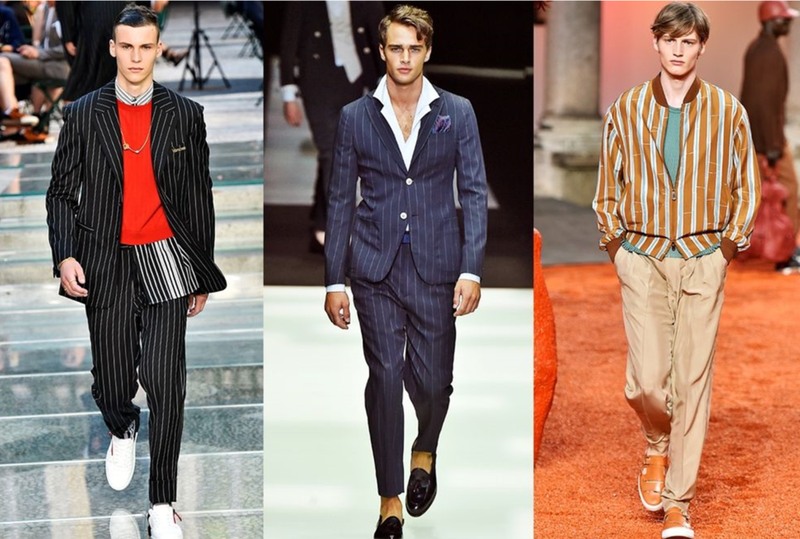 Bold stripes or pinstripes, vertical lines (some horizontal) - Milan was full of them. We even saw multiple striped prints intricately mixed together at Versace. The colors coming down the ramps were quite muted. 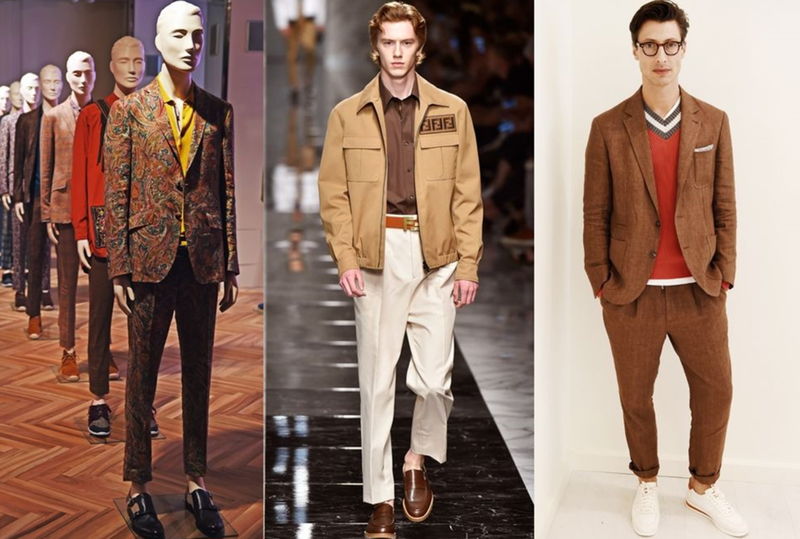 Creams, dusty blues, burgundies, beiges, stones and an entire series of earthy hues were the standards in the recent Milan fashion week editions. 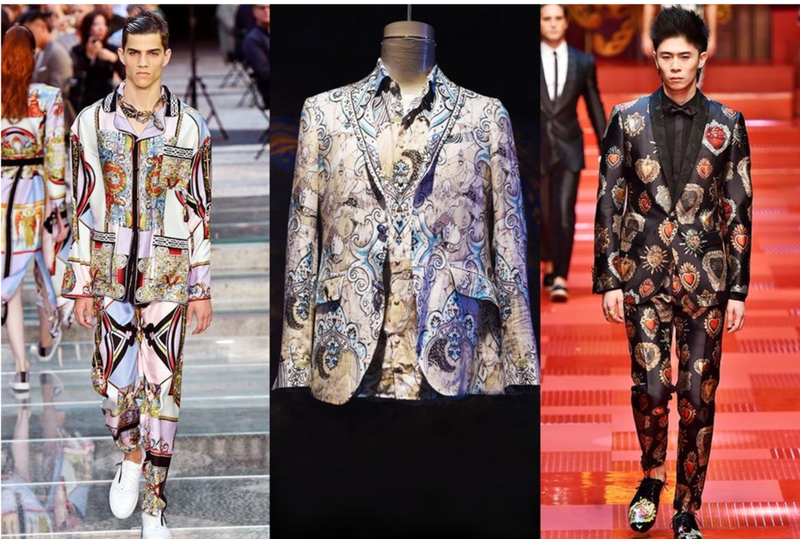 Boldly printed jackets, shirts, trousers and also suits were pretty common in Milan and are all the rage this spring/summer 2018. Which of these trends are your favorite?